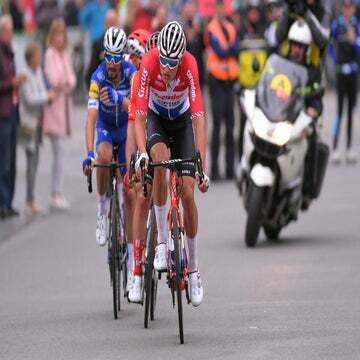 Frank Schleck (Saxo Bank) and Matt Lloyd (Silence-Lotto) crashed heavily in Sunday’s Amstel Gold Race and left the course in ambulances, wearing cervical collars around their necks. Schleck, who won here in 2006, never lost consciousness and was later diagnosed as having suffered a mild concussion, according to his team. There was no immediate word on Lloyd’s condition. "It is not as serious as we first feared," said Saxo Bank sporting director Kim Andersen. "Frank is fine and that is the most important thing. I was really concerned for him when I saw him lying on the ground!" 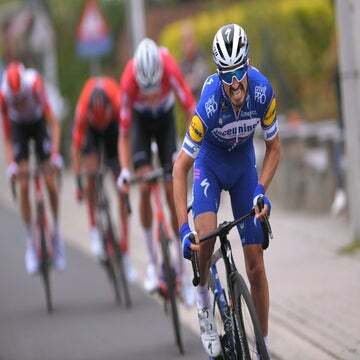 Frank Schleck (Saxo Bank) and Matt Lloyd (Silence-Lotto) crashed heavily in Sunday’s Amstel Gold Race and left the course in ambulances, wearing cervical collars around their necks. Schleck, who won here in 2006, never lost consciousness and was later diagnosed as having suffered a mild concussion, according to his team. There was no immediate word on Lloyd’s condition.